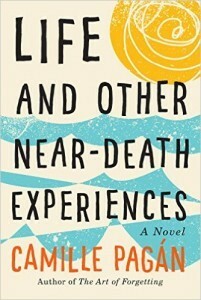 Many a novel has examined a woman’s life as she battles cancer—but perhaps no writer has approached the subject with the disarming charm and sharp wit that Camille Pagán employs in her second book, Life and Other Near-Death Experiences: A Novel (Lake Union; November 1, 2015). Pagán, an award-winning journalist, pits her optimistic heroine against not just a life-threatening disease, but also a host of startling revelations that cause her to question everything she thought she knew about life and love. When Libby Miller learns that she has a rare form of cancer, she naturally assumes it is the worst news she could possibly get that day—or ever. So when she arrives home and her husband blurts out a startling confession that makes their long and (she thought) happy marriage a sham, Libby is pushed to her breaking point. On an uncharacteristic impulse, she quits her job and heads to a small island in Puerto Rico. Just when Libby thinks nothing else could go wrong, a near-fatal plane crash triggers a new adventure, and she begins to fall in love with Shiloh, a pilot who has his own philosophy on life—and how Libby can best cope with her disease. But that’s only the beginning. Life and Other Near-Death Experiences is a poignant, uplifting novel that examines just what it is that makes life worth living. 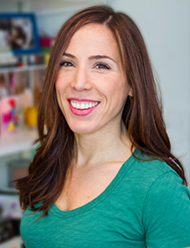 Camille Pagán’s work has appeared in dozens of publications and on websites including Forbes,Glamour, Men’s Health, Parade, O: The Oprah Magazine, Real Simple, WebMD.com, andWomen’s Health. She lives in the Midwest with her husband and two children. You wouldn’t think a book that opens with the main character learning she has cancer would be hilarious, and yet Life and Other Near-Death Experiences is one of the most satisfying, funniest, freshest novels I’ve read in a long while. While I disagreed with Libby’s initial reaction to the news of her cancer, I certainly understood it. As she progressed in her relationship with herself, with her cancer, and with the people she meets when she decides that the status quo isn’t working for her (prompted by her husband’s announcement on the same day she gets her diagnosis) I found myself liking her more and more. She’s smart, and acerbic, and can pass for being strong and confident, but she’s also flawed, and all-too-human. Her brother Paul, seen mainly via text messages and such, and Shiloh, whom she meets and spends a significant amount of time with in the latter half of the book, form a sort of Greek Chorus (along with her husband) both commenting on her life, and reflecting her choices (and refusal to make choices back at her), and I really liked that construct, whether or not the author intended it to read that way. Author Pagan (forgive me for not including the accent marks) has an ear for natural-seeming dialogue, and an eye for detail. I loved the way all the different characters had distinct voices and facial expressions, but I also took note of things like the barista who had piercings and dreadlocks. 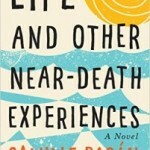 While the subject would seem grim, Life and Other Near-Death Experiences is not a novel about cancer. It’s a novel about love and life and getting rid of anything that doesn’t improve your life. Goes well with an ice cold margarita and a plate of ceviche, served surfside. One lucky winner in the US or Canada can win a copy of Life and other Near-Death Experiences. To enter: Leave a comment on this entry (include a working email address – only I will see it) telling me about a time that you wanted to escape your life. Contest is open until 11:59 PM CST on Monday, November 23rd. 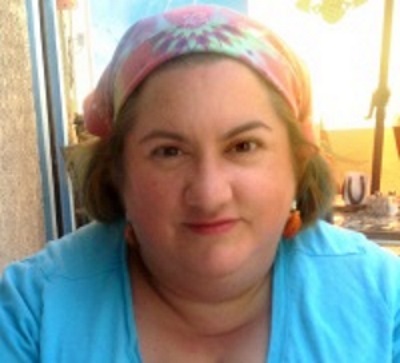 Life and Other Neath-Death Experiences, by Camille Pagan (@cnoepagan) #review #TLCbooktours #giveaway by Melissa Bartell is licensed under a Creative Commons Attribution-NonCommercial-ShareAlike 4.0 International License. 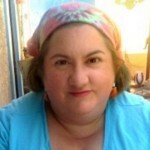 I wanted to escape my life 3 years ago when I was diagnosed with breast cancer. Unexpected and no history and healthy all my life. What I did was tap all my reserves and go through the treatment and continue to have the strength of character which has thus far been successful. So far, so good. What a unique and intriguing novel which would be greatly enjoyed and appreciated. Thanks for this wonderful feature and giveaway. This book certainly seems far from grim – it sounds like a fun and fabulous read! Sounds like a most unusual read for the subject matter. Thanks for a well-written and insightful review. I’ve added this to my TBR stack!